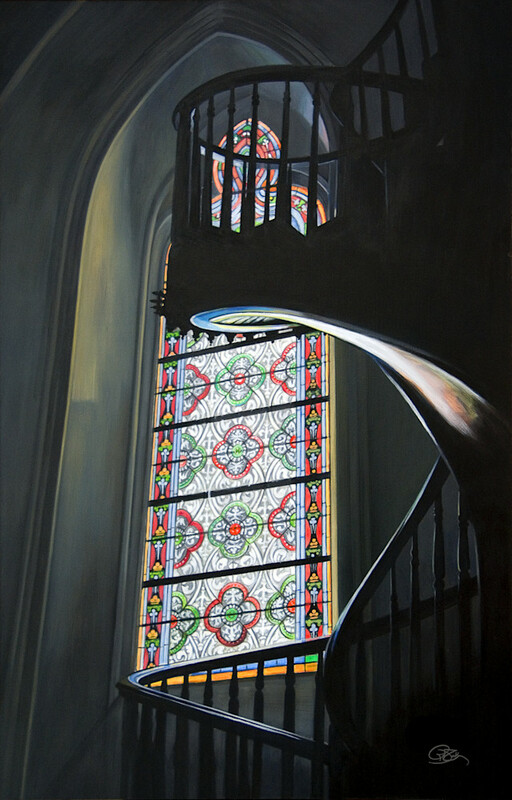 Mystery surrounds the Loretto Chapel staircase located in the heart of Santa Fe, New Mexico. Who built it and how? There are no nails used, only wooden pegs and no visible means of support. It is said that a carpenter appeared at the chapel looking for work, completed the staircase and left without a word nor payment for his work. He vanished as mysteriously as he appeared.